Legacy is a nationally known Christian vocal group that is based out of Lubbock, TX. Their sound has been compared to many world renowned groups such as Take 6, Acappella, Gaither Vocal Band and Rockapella. The group consists of John Paul Sheppard, Clint Dickerson, Josh Wheeler and Jake Lierman. 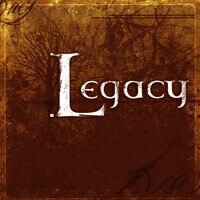 Legacy originally got their start in the fall of 2002 while in college together, but the group only lasted for about a year. After a summer tour in 2003 and recording a CD together, the guys felt that God was calling them to do other things with their lives and they decided to put the group on hold for a while. The sound of Lubbock, TX-based Contemporary Christian all-male a cappella quartet has been compared to groups like Take 6, Acappella and Rockapella. Particularly fine among these 10 songs are three written by group member and producer Josh Wheeler, "Preach the Word," "Make a Difference" and the inspirational "I Will Praise Your Name" and group member Jake Lierman's "How Can I." Other favorites are the upbeat "Livin' on the Edge," "Who is Here" and "Without Love;" the moving "Beautiful Lamb," "Beautiful Like This" and "Now to Him," with music by Keith Lancaster. Every cut of "Legacy" is strong, sung with power and feeling by this talented, committed quartet. One of the best we have heard this year! 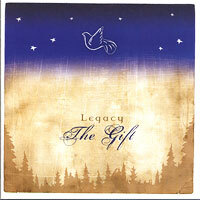 Lubbock, TX-based Contemporary Christian a cappella quintet Legacy is Marty, Clint, Jake, Michael and Josh, and "Reliant" is their third album, following "Legacy" and Christmas collection "The Gift," both best sellers in the Singers.com catalog. First singing together in college in Lubbock in 2002 and touring together in the summer of 2003, the group went their separate ways; but some "amazing" happenings brought them back together in Lubbock in 2006 to continue their musical ministry. Compared to groups like Take 6 and Rockapella, Legacy has become known for their rich harmonies, strong leads, arrangements and vocal percussion. There are 10 songs here, all of which we're hearing for the first time, including a very nice original, written by group member Jake Lieman. Favorites are MercyMe's "God With Us," Brandan Heath & Jason Ingram's powerful "Give Me Your Eyes," Mark Hall's lovely "Slow Fade" and poignant "Does Anybody Hear Her," Mike Donahee, Phillip Larue & Jason Ingram's inspirational "By Your Side," Tiffany Arbuckle-Lee, Shaun Shankel & Tyler Hayes' "Safe," Steve Fee's "Glorious One," Ed Cash, Michael Neagle & Trent Monk's joyous "Dancing With the Angels" and Charlie Peacock's upbeat "In the Light." Wait, that's all of them, and we're not surprised-every cut in this collection is a beautiful, thought-provoking winner. 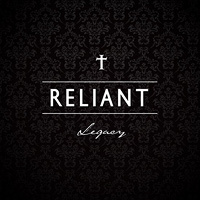 These wonderful albums from Legacy don't come along very often, so treat yourself to "Reliant" now, and enjoy! Five-man Contemporary Christian a cappella group Legacy first got together to sing in college in the fall of 2002. After a summer tour in 2003 and recording their excellent self-titled CD together, they felt that God had other plans and went their separate ways. In 2006 John Paul, Clint, Josh and Jake were brought back together by some amazing things in Lubbock, TX, to continue their musical ministry, joined this time by Marty Baker. Legacy has been compared to such a cappella giants as Take 6, Acappella and Rockapella, and the 10 songs on "The Gift" are as beautiful and relevant as any we have heard on a Christmas album. The traditional carols "Silent Night," "Hark! The Herald Angels Sing," "The First Noel," "Oh Holy Night," "Away In A Manger," and "Go Tell It On The Mountain" are wonderfully arranged gems, filled with the deeply-felt reverence of these remarkable singers. Lesser-known songs like "All Is Well," "Mary Did You Know" and "Here With Us" are just what we need to consider at a holiday celebrating the birth of Christ. The final cut, the powerful "While You Were Sleeping" speaks directly to Americans about whether their society will be one to embrace Jesus, or once again have no room for Him at the inn. The colorful liner notes have all the lyrics and some wonderful graphics and photos. Don't miss "The Gift," it's for everyone this Christmas from Legacy, one of the best Contemporary Christian a cappella groups we have heard!